She was there. She knew everyone of note in early Texas. She saw history made before her eyes. And at the end of her life, she remembered it all! When she was twelve years old, the witch-woman looked at Margaret Becker’s hands and foretold her future: two husbands, a large house, many friends, joy, sorrow and love. The witch-woman would not say what she saw for Margaret’s younger brothers, Rudi and Carl, for Texas was a Mexican colony. By the time the Becker children were grown, war would come upon them … and in the aftermath of that war, Margaret would be a widow, left to raise her four sons in a tiny frontier town – and that was also not mentioned in the old witch-woman’s prophecy. Austin, the makeshift capitol city of the Republic of Texas, was threatened and besieged from all sides. Peace did not come with Sam Houston’s victory over the Mexican Army at San Jacinto. Between old and bitter enemies and the inconstancy of unreliable friends, Margaret Becker Vining, her surviving family, her sons and her friends fought to maintain their independence and security . . . while Margaret herself despaired of ever finding happiness again. In silence Harry Karnes walked with Margaret until they reached the front of their house, which Margaret now looked upon with silent heartbreak; how she had loved their little house, low to the ground, homey and weathered to a comfortable gray. And this very moment was the last time that she would look upon it as home, this place where she had been a good housewife, lain with her husband, borne him children, celebrated their daily happiness and contentment. Lamplight glowed comfortingly behind the two tiny, oiled-paper windows: Mama doubtless had kept supper warm for her. “Ma’am,” Mr. Karnes took off his hat, “Be away before midnight.” Then, jamming it on his head again, he hurried away. There was already an unaccustomed clamor of voices, men shouting and the occasional whinny of a horse, the scrape of wood against wood filling the night from the direction of the gathering of soldiers camped on the military plaza. From a distance, she could hear the sound of a woman wailing in demented grief. What was it General Sam had mentioned, almost in passing – that Race was sent to carry orders to Mina? So, she and Mama would have to manage alone, although she supposed that if it came down to it, she might appeal to any of their neighbors or one of Mr. Karnes’ men. On the porch, Margaret paused, taking one last look at the dearly familiar aspect; the trees standing in the town-lot opposite, their leaves faintly silvered with starlight, the shapes of the roofs of other houses along St. Francis Street, the young oak tree in front, where her children were accustomed to play and where her husband taught school. Along the southern aspect of her house, Jacob Darst had come and ploughed up the ground for them when Race was so ill. That was his last act of friendship done for them before he rode away with the Gonzales Ranging Company. Margaret had meant to begin raking over the tumbled earth, breaking up the hard, heavy clods for her spring garden. It was too early to plant seeds – and now, she feared that she might never have the chance to coax another season’s growing out of the rich dark earth of her garden. On the other side of the house, Papa had left his wagon, with the ox yokes propped against the porch, and the harness chains neatly coiled in the storage box under the wagon seat. The bleached canvas wagon cover shone pale against the dark sky and the trees beyond. Out to the west, beyond the line of trees along the river, she saw pale lightning flicker on the horizon. A fateful harbinger, she thought – for there was more than one kind of storm coming. Margaret squared her shoulders and took a deep breath. It was time. She put her hand on the latch, and the door swung open. Mama looked up from the fireside, a bit of mending in her hands. The boys lay in their truckle bed, next to the big bed which was hers and Races’. Johnny was asleep and Horace lay as if he was nearly so, but she saw the gleam of a reflection from the fire in his eyes. “To the Colorado.” Margaret replied, “I don’t know the road, Mama – I think we are just meant to follow the Army eastwards.” She tied her shawl around her waist – she had need to work with her arms free, and there was so much to be done that she did not think she would begin to feel the cold. “Roll up the bedding, Mama, and tie the blankets and our clothes into bundles with the sheets – once we have loaded up the wagon, put the biggest straw tick on top of all so that we may have a place to sleep.” She began taking dishes down from the dish cupboard, the prized china dishes which she had used for their best and most honored guests, toile on blue china, all the way from England. “Mama!” she explained in exasperation, when she saw that Mama was just standing there, uncertainly looking from the dish cupboard to the tin-covered trunk which sat in the far corner. Mama obeyed, although she seemed still to be struggling to comprehend what was happening. Silently, she opened Margaret’s bride’s chest, and taking out a clean pillow cover, began to fill it with clothing. Horace sat up in his bed, looking at her with eyes so huge in apprehension that he looked like a baby owl. “Is Papa and them going to fight the sojers, when they come?” Horace’s eyes rounded, even more. “Dear god, no, Horace – we’re going to run. General Houston and your papa are going to go to a better place to stand and fight, and we must go with them. Get dressed, child – we have no time.” Margaret bundled the last of the china dishes into her apron, careless of the risk of chipping or cracking them – By the Almighty One, she thought fiercely, when we return, we won’t have a house, but we shall have good plates to eat off of when we do! There was barely enough light to see at the corner of the garden nearest the house, and closest to St. Francis Street, where the soil had been turned up and softened by Jacob Darst’s plow. She knelt, heedless of the mud and set the dishes on the ground. Taking up the shovel leaning against the side of the house, she parted the soil to make a shallow hole, feeling for a moment as if she were digging a hasty grave for her dishes. No time, no time – already she could hear more voices as the town roused. She tumbled the earth back with her hands, gently so as to spare the fragile cups, and measured with her eye the distance to the oak tree. Yes, she could find this place again. Mama had begun piling their foodstuffs on the porch; she came out of the door gasping breathlessly with the weight of a full sack of cornmeal in her arms. Inside, Horace was dressed, but Johnny was not. He whimpered miserably, his thumb in his mouth. “Leave him alone for now,” Margaret commanded. “I have a task for you, Horace.” She held a paper spill to the hottest of the coals in the fireplace and lit the two pierced tin lanterns; they relieved the darkness outside just a little, but she groaned to herself, thinking of how difficult it would be to harness the four oxen in the dark. At least, they were good and gentle beasts, Papa would not have tolerated any else. And thanks to Papa she had the use of a wagon, and teams to pull it. Other women would not; she thought of how General Houston had spoken of using the Army wagons to carry them. Maggie and her son, Pru and her baby – they would be in such need! She heard his light footsteps thumping on the porch as he ran; the quick patter diminished almost at once – yes, he was running as fast as he could, obedient and fearless, in spite of all the terrors and uncertainty of this awful day and dreadful night. Mama had left the tin-covered trunk empty of the clothes and blankets which it had contained: Margaret could drag it very easily herself, with the lantern in her hand, across the breezeway and into the other half of the house. She kicked the door wider open and lifted the lantern, regarding the shelves of Race’s precious collection of books. Her heart contracted – too many, too many, even if most of them were duodecimo volumes, which fit comfortably in her own two hands. There were some heavy and thick quartos and folio-sized volumes, most especially treasured . . . no, they could not carry the books with them. There was not room in the wagon for the trunk, if they were to carry Maggie and Pru, their children, and their hasty-gathered belongings. Food, bedding, clothing, the shelter of the wagon . . . these were the necessary priorities in this dire emergency; not frivolous things such as books and china dishes. She considered how she might bury the trunk of books in the new-turned soil of the vegetable garden, and rejected that notion almost at once. No, she could not dig a hole sufficiently deep and wide enough for concealment, not by herself and not in a few minutes. Then she recollected the deep den which Horace and his friends had dug at the roots of the redbud tree at the Darsts . . . yes, that was deep and wide, enough for the trunk of books and whatever Maggie wanted to place in it . . . When she and Mama took the wagon to the Darsts’ – then she would know. She piled certain of the heaviest books across the bottom of the trunk. When those had made it nearly too heavy for her to lift, she carried the trunk to the wagon tail, and took down the gate. She lifted the part-filled trunk to the level of the wagon bed and hurried back for another armful of books. Mama had carried out nearly all of the stores of food that Margaret had in the house. Margaret cast a glance over the random pile, reassured by the size of it but mourning in her heart what they would have had from the garden, and what would have to be left behind in Zumwalt’s and Eggleston’s stores and warehouse. From an armful of books, the little duodecimo volumes slipping sideways out of the stack in her arms; one, two of them fell at her feet. She took the time to stack them loosely in the trunk by feel, and returned to the house for another stack. Finally, she jumbled them in her apron, as she had with the dishes. “Mama, just begin packing the wagon,” she gasped. “Don’t bother with being tidy, we don’t have time.” At last, the two bookshelves were empty, the last books fitting neatly in the top of the trunk. There was nothing more which could be taken from the parlor save the quilts and bedding from the bed where Mama had slept. Margaret snapped the catches of the tin trunk closed, and hung the still-lit lantern from the first wagon-bow. “No,” Mama gasped, for Johnny still sat in the middle of the truckle bed, with his thumb in his mouth and an uncharted depth of bewilderment in his eyes. There was no time to comfort him. She and Mama carried the wooden bride’s chest to the wagon and pushed it past the tin trunk. The bride’s chest contained her most precious belongings; her hand-pieced quilts, lengths of lace that Race had bought for her, the tiny memento portrait of him, painted on a slip of ivory and framed in gold, her children’s baby clothes. “Just throw everything else in over the sides,” Margaret ordered. The pillow covers filled with clothing, the blankets and quilts rolled into bundles – all went into the bottom of the wagon bed. She caught up Johnny in her arms, wrapping him in the bedclothes as he began to whimper. “Johnny-love,” she gasped, “don’t cry . . . we’re just following after the Army so that we will be safe, and soon we shall see your Papa again!” As she hurried out of the house towards the wagon, with the sniffling child in her arms, she saw a faint light bobbing along St. John Street, flickering as it appeared between the houses. The shadows of two figures moved along with the lantern, one small, one taller: Horace, with Davy Darst following after. “Yes, ma’am,” Davy gulped, but remained dry-eyed. Perhaps there would be a time for grief later, Margaret thought, but not now. “You should be as proud of him, as he was of you,” she said, and went to bring out another armful of precious bedding from the house. Mama had found a box for the pots and ordinary tin plates, the cooking utensils they used every day. Margaret picked up the box which rattled in her arms as she looked around at the inside of her house. No room, no time for those pieces of furniture, not if they were to have space for Maggie and Pru and prevent the wagon from bogging down in every creek-crossing. She was as dry-eyed as Davy Darst. She did not even bother closing the door or putting out the oil-lamp. What was the use of that – it would all burn in a very short time. The last thing she took for use was the shovel, into the wooden toolbox strapped to the side of the wagon-box. Now for harnessing the oxen; Margaret thanked hers and Mama’s good fortune that with all the frightening talk they had brought them in every night from where they had been pastured at the edge of town, and stalled them safely in the stable at the back of their town lot. She and Mama led the gentle oxen clumping slowly after them in pairs, and Davy Darst held up the wooden ox yoke and snapped the bows closed, settling the heavy yoke on their shoulders. It was difficult to work at this in the dark; finally Margaret resorted to holding the lantern as high as she could, above the oxen’s backs, so that Mama and Davy Darst could hitch the harness chains from yoke to the wagon tongue and whiffletrees. As they finished this, Margaret could hear men’s voices, as if they were shouting, but at some distance, and the faint rumble of thunder from the storm. Lightning flickered again, closer. “And I have watched my father drive his,” Margaret answered, consolingly. She handed him her father’s bull whip, neatly coiled. “My father hardly ever used this, save for making a noise. I shall walk along with you beside the team, and we shall all help each other. Gee-up,” she added, tremulously to the lead team, and to her gratification, they stepped forward obediently. Out into St. Francis Street, the wagon rolled easily after the oxen. “Gee!” Margaret said with more confidence and the team pulled left, and then left again at her command. Down the two dusty blocks of St. John Street, to the house on the rise with the redbud tree standing sentinel in front of it. “Whoa!” Margaret commanded the oxen; again, she was pleased and mildly gratified at their instant obedience. Two shadowy figures sat on the steps of the Darst house, a pair of women wrapped in shawls. Margaret petted the near ox’s shoulder; Papa had indeed trained them very well. By leaving them with Mama in Gonzales he had provided a providential gift beyond riches for more than just Mama and Margaret’s family. “She has not, I think,” Davy shook his head. “Ma does not put much of a value on worldly things. We lived without much when first we came here, we can do so again.” In the darkness, one of the figures on the steps stood and moved towards the wagon, a ghostly shadow in the deeper shadows. “No, my dear Margaret – all that I value in the world comes with us.” Maggie answered, gasping with exertion, and Margaret began scraping the shovel across the ground, pushing enough soil into the hole to hide the trunk and make the ground seem more or less level. It seemed to take an age, her nerves afire with impatience. They must be away soon, for now the oncoming storm had blotted out the stars, and the candle in her lantern was close to flickering out. She was aware of Mama’s voice and Maggie’s in soft remonstrance with Pru. The night seemed eerily alive, with noise, of distant voices, the bawling of oxen, and the rattle of harness. The tree above her seemed alive, too, the bare branches, new-trimmed with pink ruffles of flowers, twisting and swaying over her head. A gust of wind swept St. John Street, sending all the trees along the way writhing like ghosts. Done. She picked up the shovel and the lantern, and followed the other three women towards the wagon. Pru and Maggie’s few bundles had already gone into it, followed by the weeping Pru; Davy had fastened up the wagon tail. “Where are we going, then? East?” he asked. They continued all the way down towards St. Louis Street, passing the open Market Square which overlooked the river bank. St. Louis Street began the road to the east, across Kerr Creek, close to where Papa’s house had been when he and Mama and the boys lived in Gonzales. They skirted the camp on Military Square – a sea of half-struck canvas tents and flaring torches, of fractious animals and half-packed wagons. Margaret’s wagon joined a ragged trail of wagons, carts, and single lonely figures pushing barrows ahead of them. “Not a moment too soon,” Margaret said: across the square, down at the far end of town, it seemed that more than torches lit up the far sky. The ox teams leaned into their harness. Now that she was walking with Davy and keeping pace with the patient, plodding oxen and not laboring with packing the wagon, she felt the cold most keenly. She wrapped her shawl over her shoulders, thinking that the afternoon when Harry Karnes came to get her and she had first snatched it up to draw around her against the spring chill felt as if it were an age ago; that morning, embracing Race in farewell felt like something that had happened in another lifetime altogether. That morning, she had thought to have supper with Mama and the children and sleep in a warm bed under the shelter of a roof – and now, at nearly midnight of this chaotic day, she and Mama had become poor and homeless vagabonds! Margaret sensed that all somehow looked to her for guidance, for a plan, for knowing what to do next, but she had no plan, only to walk east next to the oxen, and follow the army, for Lopez de Santa Anna’s army was coming, bearing a vengeful blood-red banner of no quarter. He had given his soldiers free rein after the defeat of the militia of Zacatecas – what battlefield liberties would he allow them after the citizens of Texas had defied him on so many contested fields? And where was Race, on this stormy, fire-streaked night? They walked in darkness now, she and Davy and the oxen, for Gonzales and the army camp were left behind – they were out in the country; there were wagons ahead, their covers shaking as their wheels rolled over another set of small rain-washed gullies in the road. Thunder grumbled at their backs, and a streak of lightning momentarily lit all with a queer, white-green glow. There was a quiet swish of long skirts in the tall grass at the track side, and Maggie Darst appeared at Margaret’s elbow. “Yes, Ma,” he answered; with something of reluctance, Margaret thought, but he obediently handed her the coiled driver’s whip. He stopped and let the wagon catch up to him, climbing deftly over the turning wheel. Maggie walked on with Margaret, who was trying to think of some suitable phrases of condolence which wouldn’t distress Maggie. “Then you should have no need of my defense of you,” Margaret said, putting her arm around Maggie, who laughed a little. Margaret thought that she had gone beyond exhaustion, when Mama called to her from the wagon seat. She had been walking mechanically for what seemed years, moving one foot regularly in front of the other, she and Maggie and the ox teams. “Why, Mama . . . whoa!” she added to the oxen, who immediately halted, and stood, heads drooping. The wagon in front of them had halted also, a little distance ahead. The driver of it was pointing at something in the direction from which they had come – a dull orange glow, illuminating half the horizon and painting the edge of the storm cloud which hung just above it with threads of sullen gold. “I did not think it would make such a show.” Margaret blinked away the tears that suddenly welled up in her eyes. She could almost see the line of high-leaping flames, hear the greedy crackle and roar of a fire well alight, a fire that burned up and up, leaping from roof to roof, from house to stable and store, from tree-top to chimney-top. All would be gone by morning; ten years of work and happiness, of building houses such as they had done for the Darsts, on the day that Race Vining came to the roof-raising – all would be reduced to so much burnt kindling. All they had not been able to take with them – gone forever. With a niggle of worry in her heart, Margaret wondered how she would find her china plates again, find Race’s precious books, in a town where every familiar landmark would have been burnt. Perhaps the trees would escape . . . and then she recollected that Maggie Darst’s house had been set on stone pilings, above the ground – and those, at least, would mark where it had been. Of her own house, the stone step would endure, certainly. Now and again as they watched, a dull booming sound came to their ears, as if a single artillery-piece were firing. Margaret wondered if that were the sound of cannon – but whose? “We should move on,” she said, at last, hearing that the wagon ahead of them had begun moving again. “I shall drive the wagon, a while,” Mama offered, and in the darkness she touched Margaret’s cheek. “You should go and lie down in the wagon with the children, M’grete. Go now – the oxen will obey me.” Margaret at first thought to insist that no, she was not tired – and soon it would be dawn – the real dawn, breaking clear in the sky ahead of them. But then she felt unutterably weary, and her feet hurt. 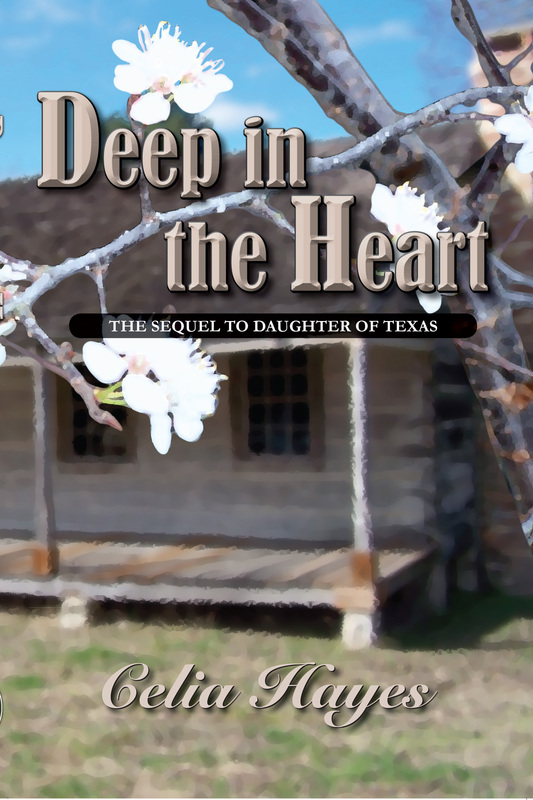 She obeyed her mother, climbing up into the wagon on limbs which trembled from exhaustion. Pru and her son, Horace and Johnny slept soundly on the largest mattress tick, Davy sitting slumped on the wagon seat, his head resting on a pillow on his lap. Margaret lay herself down next to her children, wrapping her shawl over her head, and at once fell into deepest slumber, even as the wagon wheels continued jolting and creaking along, east towards safety on the far bank of the Colorado. Around mid-morning on a day in the second week of September, Hetty was just finishing the breakfast dishes, while Margaret was rolling out piecrust; the early apples were ripe for the harvest. Papa and the boys had brought in the first of several baskets, overflowing with them, and the two women were discussing what to do with them once Margaret had made three or four pies. “It’s Uncle Carl,” he said and Margaret gasped. It was indeed – her younger brother, filling up the doorway behind her son; a tall young man with the wheat-pale fair hair that was the mark of the Becker kin; Saxon-square to the bone. His rough work trousers and leather hunting coat were covered in trail-dust, and the lines of weariness in his face made him appear older than his twenty-two years. “H’lo, M’grete,” he said only. His eyes were the same calm and placid blue that they had been when he was a child; the only feature of him which had remained entirely unchanged. “So we were,” he yawned hugely, and pulled a chair aside from the table, slumping into it as if he were tired to his very bones – which he would be, if he had ridden the eighty or so miles from Bexar. “Might I have something to eat, M’grete? I haven’t eaten for two days.” Hetty was turning the dish-towel into knots, between her hands, the plate still on the floor at her feet where she had dropped it. “Then he’s still there.” Her brother answered in short sentences, as if he were too exhausted to do any more. “They surrounded the town. Took every white man as a prisoner. Judge, district attorney . . . lawyers, witnesses and the lot. Lawyer Maverick – he was caught as well. John-Will Smith, the mayor – he escaped, the only one. His wife’s family helped him. He saw everything from the roof of his father-in-law’s house. It’s an army, right enough. Not bandits and Comancheros. They even brought a band with them. Came straight into town at dawn under cover of thick fog, set up cannon in Military Square, and fired a shot. Woke up the whole town all at once, so John-Will said.” Looking at his eyes, Margaret saw that it was true. Carlchen had never lied to her. Her own anger began to smolder into open flames; anger that Lopez de Santa Anna – that vile, treacherous butcher – would send his armies into Texas once again. He would dare send his gold-braided officers and his convict armies into Texas, to pillage and murder, then accept parole and sue for peace . . . and six years later presume to do it again. “What do they intend? Are they coming here?” Carl shook his head. “I don’t know, M’grete – but not if Cap’n Jack has anything to say, and General Sam, too.” He yawned again, and Margaret abruptly returned to that matter which she could do something about. She set a plate before him, with a fork and spoon to one side of it, fetched half a loaf of bread from the pie-safe, and began cutting slices from it. There was a quarter-wheel of cheese, some fresh butter from the churning of yesterday’s cream, and of course, plenty of apples. Jamie brought two from the nearest basket, with the air of a page doing service to his sworn liege lord. He lingered at Carl’s elbow, a worshipful expression on his face. “You may have all of it, if you like,” she answered, “If you are staying long enough.” Unbidden, Hetty opened the oven door, so that Margaret could slide in the first pie. Rolling out another round of dough, Margaret continued, “Then tell us – how did you escape the Mexicans, Carlchen?” She waited for the answer: her brother would not willingly submit to being a prisoner of the Mexicans ever again. By a merest chance and the action of their brother Rudi in stepping before the Mexican’s guns, Carl had survived the massacre at the Goliad. If Margaret knew anything in the world with more certainty, it was that her brother would not endure captivity or confinement for a second time. “Because they can,” her brother answered, calmly biting off another mouthful of bread and cheese. His eyes were as blue and unclouded as the skies outside the kitchen window. “And what they can do, they will, sooner or later. It’s like the Comanche. They talk peace when it suits and when it gets them something. I reckon they mean it sincere at the time. And when it suits them and gets what they want by going on the warpath, why, they’ll do that without thinking twice. Don’t mean nothing what they said last week, or last year.” Carl appeared quite unruffled by this fresh Mexican treachery, of naked war and invasion brought down upon them once again by the vile dictator Santa Anna. That very serenity was bracing to Margaret. “Straight from the stove,” Margaret answered, “At my table, most use a fork to eat.” Just at that moment, Papa came in the door, a carrying-yoke over his shoulders and a bushel-basket of apples hanging from each end. Horace and Johnny followed, lugging another basket between them. Margaret’s breath caught in her throat, anticipating a dreadful scene, something like the last time Carl had come home and encountered Papa; but Papa merely dropped the baskets with a groan and a grunt. He glanced at his youngest son and then looked away without a change of expression. It was as if Carl were not there at all. For his own part, Carl took up the fork that lay next to the plate and took a bite of scrambled eggs. “He is not ‘the old man,’” Margaret insisted. “You should speak of him with respect, Carlchen. He is our father and he is not a bad man.” Her brother chewed thoughtfully, as he shook his head, and swallowed another mouthful before answering. “You would have no need to worry about Papa’s influence on my sons, if you came home a little oftener, gave up rangering. Perhaps if you took up a trade and settled down . . .” Margaret suggested, stung by his words. She had long believed that the company of her sons might soften Papa a little, bring him to take an interest in a younger generation, and now to have Carlchen suggest that such an influence would do them harm! In all the travails of the past few years, Carl had not been there; he did not have any idea of what she had to face, every day and every hour. “Ah. I see – get on your horse and ride away into the wilderness, where everything is simple. Leave someone else to raise the children, nurse the sick and dying, bake bread, build houses and look after the wellbeing of families, which makes things all so very, very complicated. Well, you have that luxury, little brother, but I do not. I must cope with the complications.” Carl shrugged, apparently little affected by her words. “In the front parlor,” Margaret answered, “On the day-bed.” He rose from the table, still yawning. By the time Margaret brought a blanket from her bedroom, he was already fast asleep, sprawled on the daybed without even having taken off his boots, although he had removed the belt that held his holstered weapons, and hung it close at hand over the back of the day-bed. “No Marm – I am not,” Hetty answered, sturdily. The making of apple butter that afternoon was often disrupted, for there was a constant stream of men and women coming to the house. Margaret finally tasked Jamie and Peter with sitting on the front steps and to fetch her from the kitchen whenever they saw someone coming up the hill, rather than have the noise of their knocking on the door waken her sleeping brother. She need not have bothered; he slept as deeply as one nearly dead for hours, in spite of the footsteps of people coming and going, of hushed voices and Papa tramping back and forth with baskets of apples, who couldn’t be bothered to pay any mind to her admonitions. “Oh, dear, I hope that it won’t come to that!” Mrs. Eberly’s cheer suddenly turned to apprehension. “Well, I am very glad to hear of that!” Mrs. Eberly exclaimed, and Hetty looked gratified. Margaret’s spirits rose, fractionally. Perhaps there was hope after all, that the prisoners would be freed, and the Mexican troops sent fleeing back over the Nueces. Carl and the assembled militiamen, under the command of Captain Coleman departed without ceremony late that afternoon; grim and purposeful men, their saddlebags bulging with food and ammunition, their saddle-holsters bristling with arms. Margaret watched, as her brother moved among them, unhurried and quietly authoritative. They were moving light and fast, with two pack-mules laden with even more supplies; her brother planned that they should be at the Salado camp within three days. Margaret’s heart was wrung – she had seen this so many times before! The only solace she might take in this prospect was that there were no young boys among the riders this time, only men and many of them battle-hardened and wily, veterans of the first fight for Bexar, back in the beginning, of the mad scramble to withdraw from the west, after the fall of the Alamo, veterans of San Jacinto, of Plum Creek and a thousand small skirmishes with Mexicans soldiers and Indians alike. And General Sam – he would not let this insult pass, indeed he would not. With that, Margaret must be content. It was little more than a week before Margaret and those still remaining in Austin received certain news of what had happened at Bexar. The Mexicans had withdrawn – that was the best of it. The Texian companies from the lower Colorado settlements, to include Captain Hays’ Rangers, had lured a large portion of the Mexican force out of Bexar, lured them into a trap among the sandy creek-beds and thickets of mesquite and scrub oaks north of the town. There they fought a sharp skirmish, and sent the Mexicans reeling back . . . but a company of fifty or so volunteers from La Grange, led by Captain Mosby Dawson, had just arrived, and hearing the distant sounds of the fight had advanced to the aid of their comrades. They were overrun by the Mexican cavalry, before they could join the main Texian companies, safely entrenched along Salado Creek. All but fifteen or so were captured alive, the rest being killed in the fight, or upon surrendering. Within days, the Mexican general Woll and his columns of marching men, of cavalry and the heavy cannons had withdrawn from Bexar, retreating slowly back towards the Rio Grande. But he took hostages with him, those men captured in Bexar, and in the skirmishing along Salado Creek. Nonetheless, this invasion had been stopped, and Margaret and her household rejoiced, until a tear-stained letter from Morag arrived; Daniel Fritchie was one of Dawson’s men captured at Salado and his brother Nicholas killed. Worse yet emerged in the next weeks; those prisoners taken in Bexar, those men who had been at the meeting of the district court were not released on the banks of the Rio Grande, as they had been promised by General Woll. Dr. Williamson’s captivity would be of longer duration than a few weeks; Margaret fumed when she read of this new treachery in the newspapers, and Hetty wept when she re-read Morag’s piteous letter. “She must come home to us, of course. It’s the heat,” Margaret had her own suspicious about what was making Morag ill.
“And I will go to fetch her, o’ course,” Seamus O’Doyle looked immediately more cheerful. He had made some adjustment to Morag’s marriage in the past months; Margaret thought that perhaps Hetty had spoken to him bluntly on the subject. The final blow, when it fell was not completely unexpected: citing the constant danger of hostile incursions from Mexico and from the Indians, General Sam called the Legislature to meet at Washington-on-the-Brazos . . . not at Austin. Margaret was philosophical, at least more so than Mrs. Eberly, who predictably enough was furious. She stumped up the hill to consult with Margaret – or at least, to complain angrily while Margaret listened. 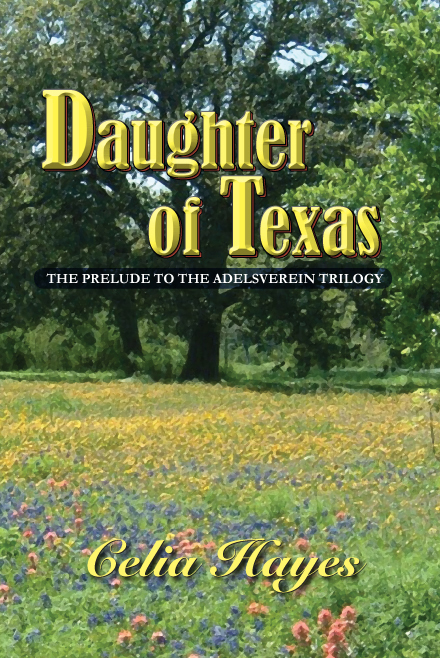 “They may rightfully fear such, seeing how the men who attended district court were dragged from Bexar as prisoners,” Margaret began; a temporizing statement which was entirely wasted on Mrs. Eberly. “I am sure that the legislature will meet here, next time,” Margaret was about to give up being soothing, as it seemed to have little effect upon Mrs. Eberly. “The very least,” Margaret answered, and left unspoken the question – would Carlchen ever return to the family home, when business or war did not take him? Morag did return, and with tears of mingled joy and distress, as Seamus O’Doyle came around and handed her carefully down from the wagon seat. It was October; the days were drawing shorter, with grey-clouded skies and a chill wind from the north. She ran lightly to Hetty’s embrace; there was no sign outwardly that she was with child, save for the sudden sharpness of the cheekbones in her face. There is a difference in the face of a woman who is bearing, or has born a child, Margaret thought; something elemental, no matter how young she may be herself. She had observed it in the faces of those friends of her girlhood in Gonzales, seen it in her own features – and now it was in Morag’s face, when she turned from her sister to Margaret. “Know of what?” Hetty looked from one to another, slightly baffled, and Margaret marveled at how she and Morag were now united in a sisterhood, despite the years between the two of them, and her long friendship with Hetty – the bond of sisterhood between the mothers of children. “Oh, me ain darlin’!” Hetty cried, with sudden comprehension grown doubly fond. “Come and lay down within! This is happy news, so ‘tis!” She embraced her sister, and walked to the house with her arm around her waist. Meanwhile, Seamus O’Doyle had lifted down the little trunk, which was all that Morag had brought with her.